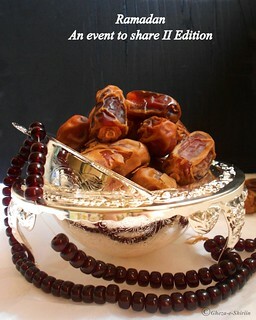 Ramadan is a month of sharing and giving. So thought why not invite a blogger who help us make a wonderful gift to share with our loved ones. Nielouphar Abdurahiman also known as Neelu from PrettyPaperstudio is sharing with us wonderful craft project. Lets check what Nilu has in store for us. Thank you Huma for inviting me to share a ‘craft’ recipe on Gheza-e-Shirin this Ramadan. Just as we were anticipating and gearing up for Ramadan, we are now closing towards Eid Al Fitr. If you are like me, and I know you are, you would be looking for ideas to make this Eid even more memorable than the previous ones. 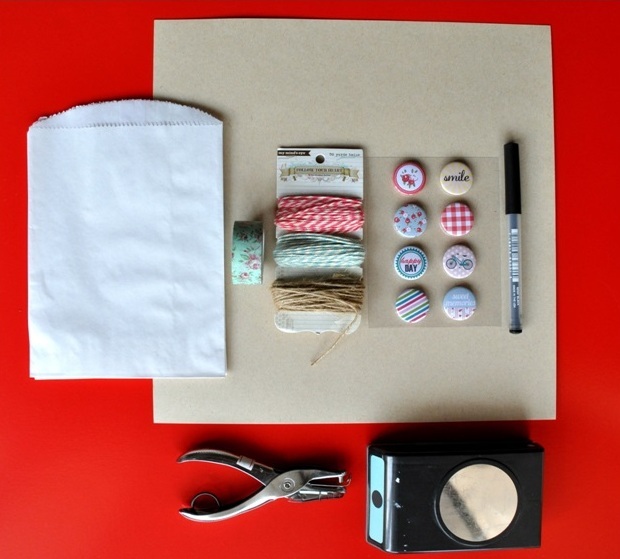 Hence, I thought of sharing this step by step tutorial on making party favor bags yourself at home. This year, let’s give Eidi in favor bags that we made ourselves. 2. 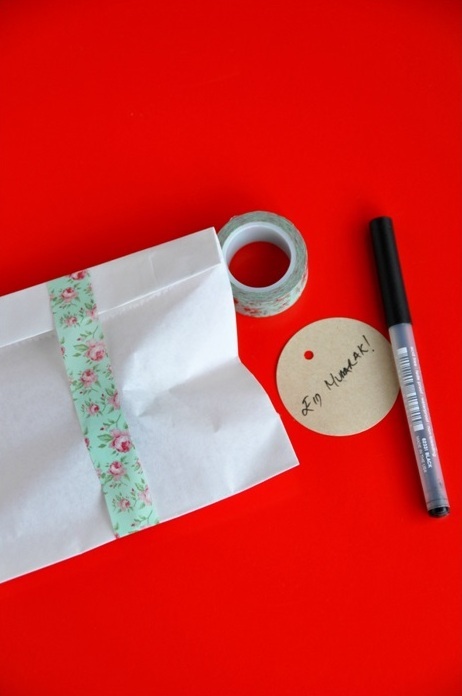 Punch out circles from the kraft cardstock using the circle punch to make gift tags. 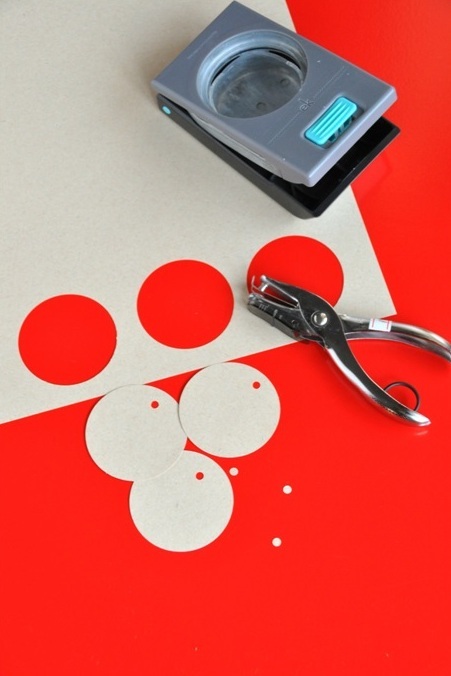 If you do not have a circle punch, you could simply use scissors. You could also cut out tags in shapes other than circle. 3. 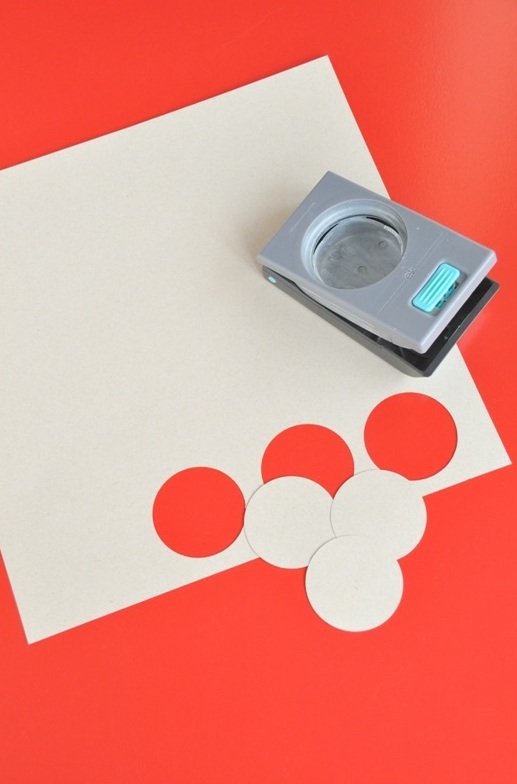 With the one hole punch, punch a tiny circle as shown in the picture. This is for the twine to pass through. 4. 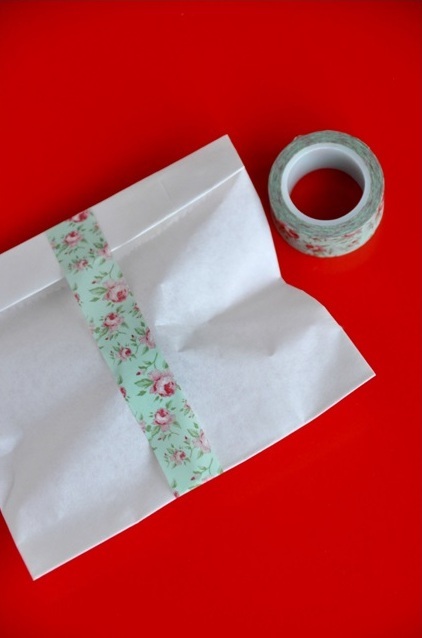 Pass the washi tape across the bag vertically. 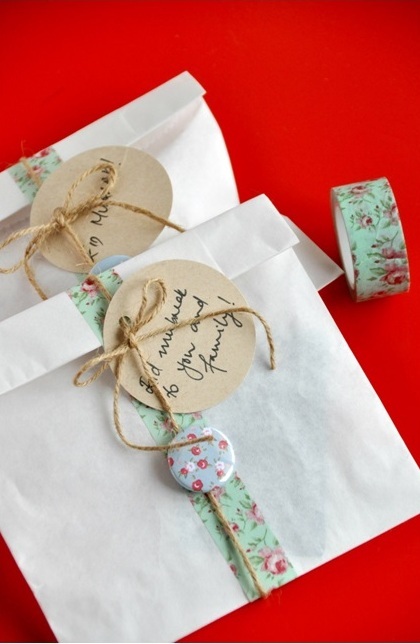 Washi tapes are basically masking tapes with designs and easily adds a beautiful affect to your crafts. 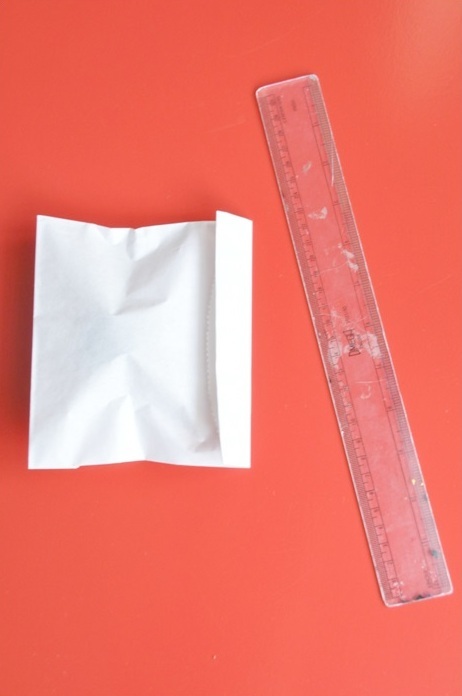 They are forgiving as in you can peel them off after sticking without damaging the surface. 5. Write your message on the tag with the black marker. 6. 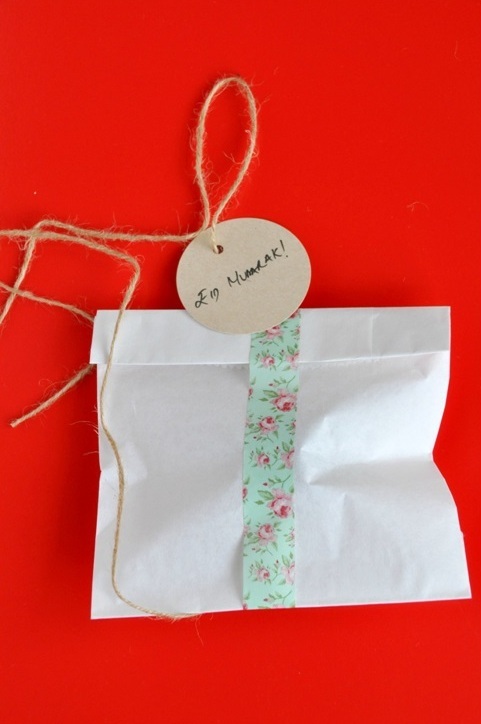 Once you finish writing your message on the tag, pass it through the twine. 7. 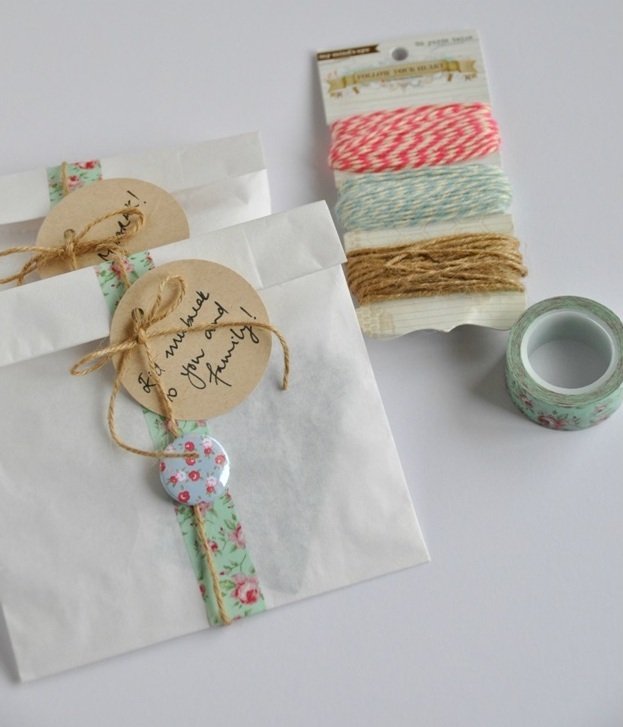 Tie the twine across the favor bag just as the washi tape. 8. Finish with a brad or any embellishment you like. 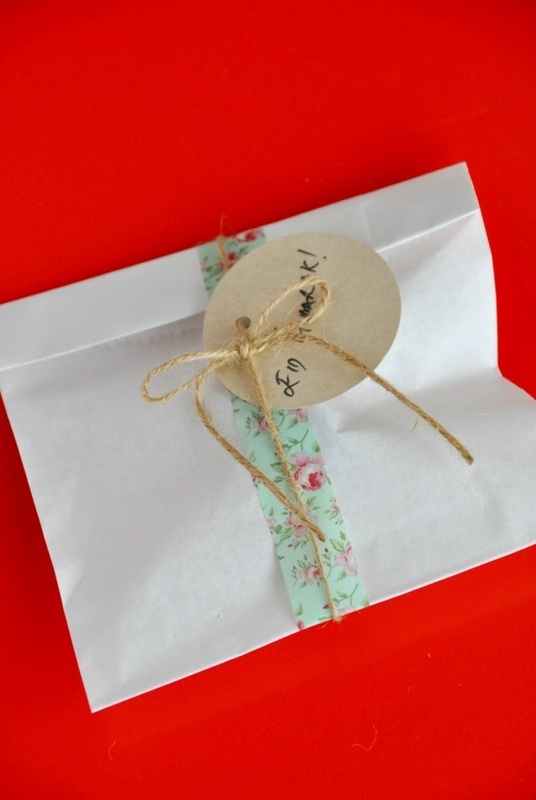 Your party favor bag is now ready for giving away. 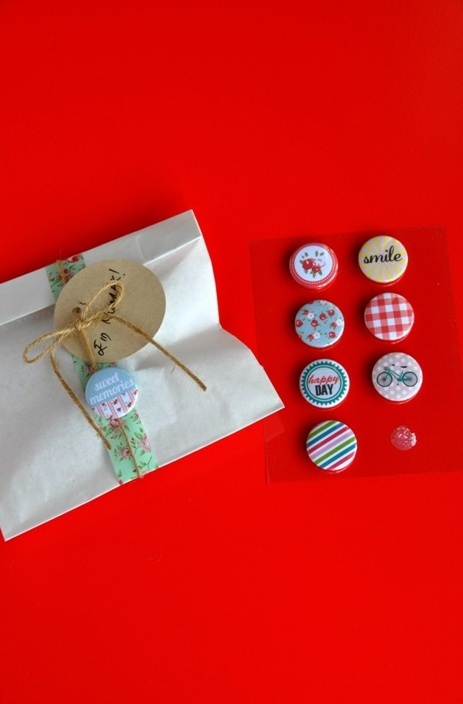 Making your own party favor bags not only lends a handmade touch to your giveaways but also allows you to get creative and play with cute stuff. I hope you will try this tutorial out. If you would like to get in touch with me or read similar posts, you can visit www.neelusjournal.com.Thank you for having me!